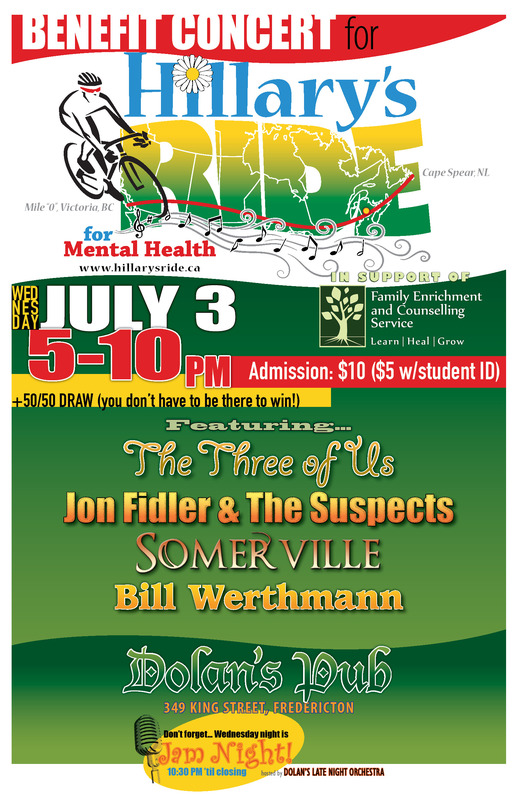 A hometown concert for rider Bill Werthmann, who grew up in Fredericton, N.B. Featuring performances from The Three of Us, Jon Fidler & The Suspects, Somerville, Bill Werthmann, followed, at 10:30pm, by Dolan’s Late Night Jam. Join us from 5pm at Dolan’s Pub, 349 King St, Fredericton. Admission $10 / students $5. The night will include a 50/50 draw.